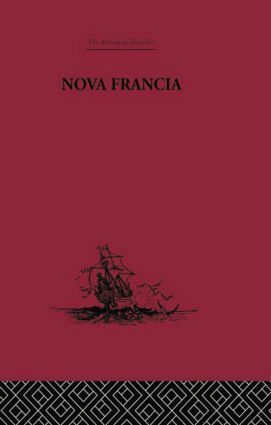 Nova Francia is an account of the foundation of the first French colony in Acadia in 1606. The author, Marc Lescarbot, had an inquisitive mind and an independent outlook, with a special faculty for clear thinking, and it is this authorial style which gives the work its unique value. To read Lescarbot is to enter again into the outlook of an intelligent Frenchman of the sixteenth century.